Hybrid apps share a common podium along with their native counterparts being an Excelsior in mobile app development! Every business is adopted for a definite purpose and envisions to expand and promote their brand visibility to earn a return on investment and maximize profitability simultaneously. Making their presence on a mobile platform is one way to reach millions of users with its widespread use across the world. While developing applications for both iOS and Android is advisable and recommended for high performance, but reaching to millions with same minimal coding effort, in very less time with approximately similar efficiency like native mobile apps can all be achieved by having cross-platform mobile apps. Besides popularizing the business, app development cost of cross-platform apps is less and these can be developed with fewer efforts with the same code running on both platforms. Not every development process is completely free of risks. While libraries and frameworks are trying to do their best in bridging the gap between hybrid and native app development, a lot of in-between efforts have to be applied precisely to build a robust application that does not break and all features run seamlessly to give their users a memorable experience. Why opt for cross-platform mobile app development when native apps are fast? Code Reuse: Cross-platform app development is preferable due to the possibility of code reuse. Why would one spend time and efforts all over again coding for a different platform when the same code can be used? Developers do not repeat the same code across the platforms they simply have to write one code set which can then be used to develop apps across different platforms. This helps in saving a lot of effort and time on part of developers and chances of errors are reduced as less code suffices the purpose. Less Code: Instead of paying of different tools and technologies for native and hybrid app development, developers just need a specific set of tools and libraries as a one-time cost for the cross-platform app to function. Less Time: With easy code, a lot of time can also be saved that would have otherwise required to code separately on different platforms. And when one is looking for a faster launch, cross-platform apps are certainly a way to go. Easy Updating: Updating a hybrid app is easier than native ones with tools like PhoneGap and Appcelerator that make it easy for the developers to go across all different platforms to make changes. The code can be written in HTML5 and then can be converted easily to be used over different platforms. This eases synching of updates and keeps the development process easier. As cross-platform apps are for both Android and iOS, these have a wider audience reach. Uniform App Experience: Users always look for an experience and always want one app to work in a similar way irrespective of the number of devices they change. This uniformity that comes with cross-platform apps is the biggest advantage that comes with cross-platform apps. 1. What React Native can do? 2. What Xamarin is capable of doing? 3. How Native Script can generate native like hybrid apps? It allows building cross-platform apps, native iOS, and Android apps without web views. Flutter wraps a web view in a native app and builds the application like a website. It wraps native platform controls and provides some cross-platform abstraction over them. Developers across the world try every bit to make the development process easy and smart. 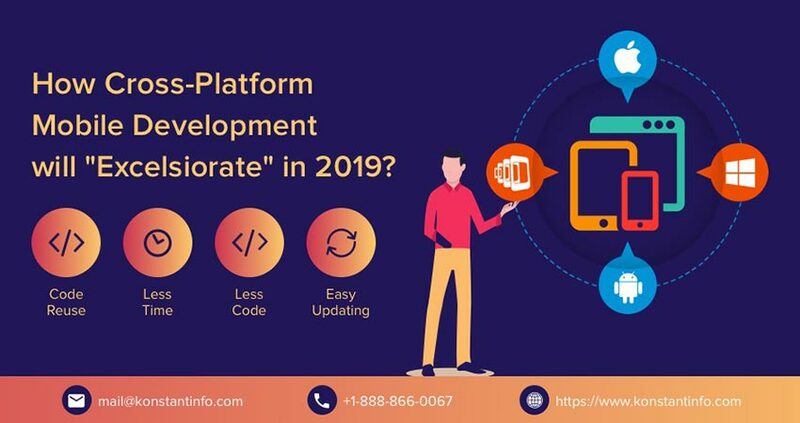 Cross-platform app development is a step to achieve a cost-effective API’s that save a lot of time and effort, reduce errors and synchronize both platforms seamlessly and also matching up with the performance of the native applications. A lot of research must be done before coming upon a conclusion to be able to make use of the framework upon which the app is to be developed. As there is no single answer to a particular problem, solutions will keep on cropping up for better.